That sentence is near the beginning of Eric Geiger and Kevin Peck’s excellent book on leadership development in the local church. 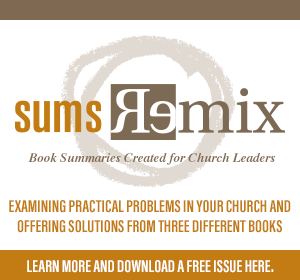 This is the kind of book that pastors and church leaders will use and discuss for many years because it provides an important framework for considering these issues: Convictions, Culture, and Constructs. I wanted to introduce this book to you by reiterating the importance of keeping discipleship and leadership together. 1. Discipleship is the only means. God has designed the end and the means. The end is people from every tribe, tongue, and nation gathered around the throne worshipping Him because they were purchased with the blood of Christ (Rev. 5:9-10). Regardless of what happens this week, what unfolds in the news, the ending has already been made clear: God is redeeming for Himself a people from all peoples. In the middle of the Bible is the means, the command Jesus gave us: “Go, therefore, and make disciples of all nations” (Matt. 28:19). We live in the middle. The means to the glorious end is not leadership development apart from Jesus. 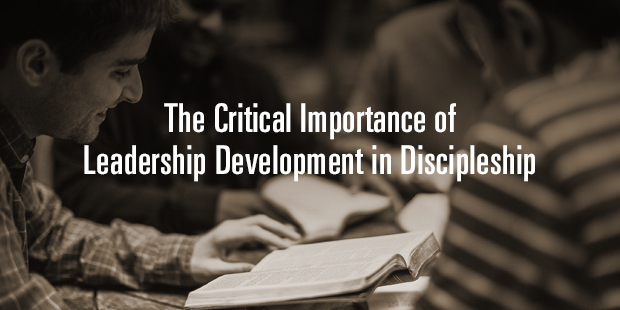 The means is not leadership development divorced from discipleship. The means is discipleship. He has commanded us to make disciples of all nations, disciples who will obey everything He commanded. 2. Discipleship impacts all of life. As Christ is more fully formed in people, the totality of their lives is impacted. Those who are overwhelmed with how Christ has served them will serve others. Those in awe of God’s generosity will be generous. Those who are captivated by God’s mission to rescue and redeem join Him in pursuing people who are far from God. Their serving, generosity, and sense of mission impacts their relationships, their approach to their careers, and their view of life. Their growth as a disciple shapes how they lead at home, in their profession, and through all of life. To view discipleship as distinct from leadership development is to propose that discipleship does not impact all of one’s life. If a church approaches leadership development as distinct from discipleship, the church unintentionally communicates a false dichotomy—that one’s leadership can be divorced form one’s faith. Being a Christian leader must not be positioned as disconnected from living a godly life in Christ Jesus. 3. Leadership development apart from discipleship becomes overly skill-based. If leaders are developed apart from Jesus, the emphasis is inevitably on skills and not the heart transformed through Christ. Divorcing leadership development from discipleship can leave people more skilled and less sanctified. And when competency and skill outpace character, leaders are set up for a fall. We don’t serve people well if we teach them how to lead without teaching them how to follow Him. We don’t serve leaders well if we develop their skills without shepherding their character. It is difficult to say this humbly, but maturing Christ-followers make better leaders. Even authors not writing from a distinctly Christian worldview articulate this truth without realizing it. For example, in his popular books Emotional Intelligence and Primal Leadership, researcher and author Daniel Goleman builds the case that the most effective leaders are emotionally intelligent. More than a high IQ (intelligence quotient), great leaders have a high EQ (emotional quotient), and are able to create environments and cultures that are highly effective. Effective leaders, Goleman contends, have the ability to manage their emotions, genuinely connect with people, offer kindness and empathy, lead with joy and inspiration, and display the master skill of patience. Sounds a lot like the fruit of the Spirit in the life of a believer (Gal. 5:22-23). Yet all pushes for integrity and all the instructions on character development from leadership gurus won’t transform a leader’s heart. Inevitably after these authors reveal their findings that “character matters,” their challenges and their writings quickly degenerate into futile attempts to change our own hearts. We can’t change our own hearts. We can’t pep-talk ourselves into transformation. Only Jesus can transform our character. We must develop leaders who are consistently led and fed by Him before they attempt to lead and feed others. 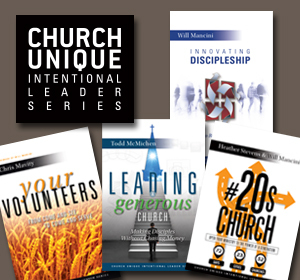 For more information, check out Eric Geiger and Kevin Peck’s Designed to Lead: The Church and Leadership Development. Talk with an Auxano Navigator about the leadership-discipleship connection.